Is Blockchain the Key to Minimising Risky Outbreaks? The World Health Organisation (WHO) was the main source of information on any updates made available about the threats posed by the Ebola outbreak when it hit in 2014. Alongside the Centers for Disease Control, (CDC) health professionals all but exhausted the (limited) opportunities to stay on top of the virus and contain it as they emerged. Four years later in 2018, the scars of the Ebola epidemic still etched firmly across the nations surfaces it scorched, new technology that might eliminate the chance of this occurring again has emerged. It’s Blockchain based, and it may be the solution for identifying, tracing and containing outbreaks before they become potential epidemic circumstances. Blockchain technology, for those who don’t know a lot about it, relies on a continuously developing shared ledger that can be updated many hundreds of times per day. The information received by the ledger is fixed and cannot be altered. Information shared on the ledger is timestamped and irrefutable. For medical professionals sharing the agenda to control and limit the damage likely to be caused by an infectious outbreak, requiring the latest information from a shared point without room for guesswork is critical. In the case of alerting professionals to potential outbreak risks, the value of blockchain tech was made evident under the unfortunate outbreak of an especially heinous E.coli outbreak earlier in the year. Eight diners at an east coast US restaurant were each separately rushed to hospitals with severe symptoms of food poisoning. Eight weeks later, with almost 80 people hospitalised and one person deceased, the source of this strain (traced back to Yuma in Ariz) still can’t be traced. Reasons for any perceived powerlessness can be blamed on a paper trail that spans across 32 states, highlighting the devastating impact of a lack of transparency in the supply chain that simply can’t maintain a foothold in the current technological climate. Blockchain is the key to this lack of transparency- and the sooner it is made transferable, the better. The beauty of the blockchain ledger is that it involves consistent agreement by all parties to verify every supply chain increment, from farmer to retailer. To trace produce from a reporting patient right back through the supply chain to initial source currently takes over a week. But Blockchain technology obliterates this timescale, making it possible to see sources in as little as just a couple of seconds. If you can see that value in this as a time-saving opportunity, you’ve glimpsed the potential of blockchain at it’s finest. Lives can be saved, health can be preserved under Blockchain potential. The sooner technology applies to the food chain, the safer and more secure our experiences will become as consumers. Australians will remember the horrific outcomes that claimed the lives of five people when listeriosis was linked to a rockmelon farm in NSW, quickly devastating almost 20 individuals across four states. Blockchain technology stands to impact the supply chain and how organisations can use the technology to improve food safety in limitless ways. If you’re interested to find out more about how it all works, our experts are more than happy to assist. Speak to the team at Blockchain Australia today- contact us on 03 8582 8690 today. 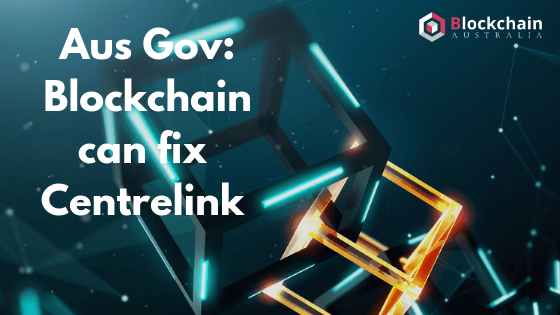 Will Blockchain Resolve Centrelink Disbursement Bugs? Connect directly with customers through a tailor-made Chatbot. Provide useful information and interact closely with existing and potential clients.